It’s no early April joke as an injury hit and out of form West Ham take the road to Hull. So where were we before that unwelcome international break came along? 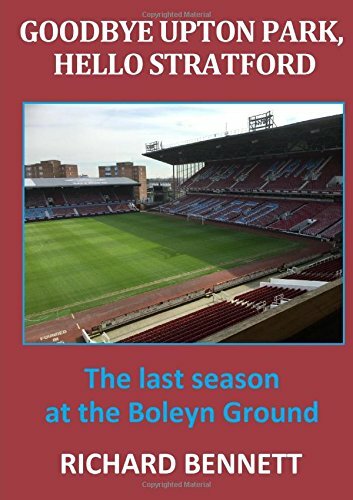 Oh yes, that’s right, a club in turmoil; just one win in six, three defeats on the bounce, one clean sheet in the last fourteen, Bilic in, Bilic out, sack the Board and supporters wishing for the season to end. Not only that but now we are a club in turmoil going into a game without our three best players, all injured last time out. Any team desperate for relegation saving points would be eagerly scanning the fixture list for an encounter with a lacklustre, formless, shapeless and complacent mid-table West Ham. Hull will be no exception and will be confidently targeting a full complement of points from the game. They are a hard-working side who enjoyed an upturn in fortunes following the appointment of Marco Silva but come into this game off the back of 4-0 hammering by Everton and still sitting in the last of relegation places. It is three years since a Marco Silva side lost a home game. I just concentrate on my job. I am totally focused on the next game. The speculation does not worry me. I am not reading it or making phone calls or whatever. We are in a position where we can have a good finish to the season. We have a lot of games to play and there is a lot to play for. The home match against Hull was one of several lucky wins that played its part in putting the thinnest veneer of gloss on the season allowing the Hammers to scramble briefly into the top of half of the table. The man-of-the-match performance of the post has now joined Fat Sam’s ear-cupping into the annals of West Ham – Hull folklore. Slaven Bilic might want to consider putting a few extra posts on the bench today given that it wouldn’t noticeably weaken the squad. A West Ham win today would be a first ever Premier League victory away to Hull and would also be the first time that this fixture has been won by the away side in the Premier League. I don’t imagine too much work for the record book writers this afternoon, however. West Ham have recorded a total of four away victories outside of the Premier League at Hull; the last of these a 2-0 success in 2011 with goals from Jack Collison and Sam Baldock. With Winston Reid, Pedro Obiang and Michail Antonio absent through injury the greatest conundrum for Slaven Bilic would seem to be where to play Cheikhou Kouyate. Does he play in central midfield and allow the Dad’s Army pairing of Fonte and Collins to play at the back or does he play him as a central defender and combine Mark Noble (back from his holidays) with either Edmilson Fernandes or Havard Nordtviet in the centre of midfield. Although I would like to see Fernandes given more opportunity he is not really a defensive minded player and so maybe we will see a return for Nordtviet (who apparently did well for Norway during the break). Fonte and Collins can only work if Hull guarantee only to play high balls into the box. I’m not sure they will oblige and the idea of them facing pacey players without the covering of Obiang would be of great concern to an already leaky defence. We have done well at home of late and we want to win again. The secret to our home form is work – hard work. Further up-field we have Andy Carroll, still on his 49 Premier League goals mark, and Andre Ayew who is on a light mauve (if not full blown purple) patch of goal-scoring of late. Robert Snodgrass remains Hull’s leading scorer this season but has yet to pull the trigger (!) for his new club. We will remain lop-sided in attack without an effective left sided player given that both Ayew and Snodgrass prefer to play on the right or simply go walk-about. Hull have a number of injuries including Mbokani and Mason but Michael Dawson may be fit enough to feature. Tom Huddleston begins a three match suspension following his dismissal at Everton. Today’s referee is Mike Jones from Chester (are there any southern based referees?). He is another of the occasional visitors to Premier League officialdom and the only previous encounter this season was in the EFL Cup defeat at Old Trafford. Jones was in charge of two West Ham league games last season; away trips to Norwich and Stoke. In his 25 games this term he has awarded 97 Yellow and 4 Red cards.